Our Positive Voice (Grampian) is the collective voice of people living with HIV/AIDS in Grampian, Scotland, manifesting the solidarity, power and unity of an emerging and fast growing HIV patients’ movement worldwide. 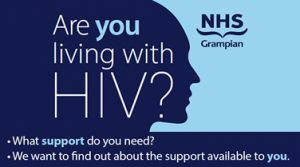 Our Positive Voice (Grampian) aims to capture and amplify the distinct, unique and experienced voice of people living with and affected by HIV, and to champion the fact that this community are often experts at living with HIV. Our mission is to provide a strong and united voice to put people living with and affected by HIV at the centre of regional, national and international policies and programmes.